Electromagnetic Relays can be panel mount, PCB mount or DIN ready. I/O modules are also available with these relays. 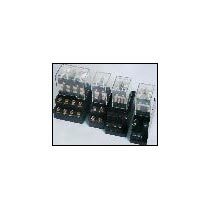 We are reckoned as one of the reputed Suppliers of Electromagnetic Relays. When it comes to delivery, we always deliver retail as well as bulk orders for Electromagnetic Relays on time that makes us stand tall among our competitors. These relays can be obtained from us at competitive prices.